October 17 – 20, 2019 – Event information coming up! Water is available at the camp site and a dump station is located on the grounds. 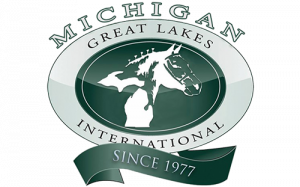 Fees will be collected by Michigan Great Lakes International. After Monday, October 15th, please call the MSU Pavilion at (517) 432-0665. If you are not an exhibitor and wish to reserve a camping place, please fill out the form. The Pavilion for Agriculture and Livestock Education, Michigan State University, East Lansing MI. More information.